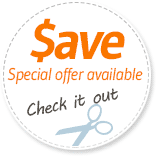 Carpet Cleaning Boston is the premier tile and grout cleaning service in your area. Tile cleaning is long, arduous work, and we are ready and willing to tackle your tile and grout cleaning jobs, whatever they may be! We are fully licensed, bonded and insured, with years of tile cleaning experience behind us. Our technicians know how to clean ceramic tile, porcelain mosaic tile, quarry tile, terracotta tile, Saltillo tile - they are even expert in pool tile cleaning! And they will choose the best cleaning method for the type of tile as well as the appropriate cleaning solution for the tile type, stain type, and grouting material. We highly recommend steam cleaning for tile and grout. This is an entirely Eco-friendly cleaning method that is very effective, as it only uses very hot water and no chemicals at all! Particularly for unglazed tile that was never sealed, steam cleaning can remove many of the dark stains that have set in beneath the surface. Many cleaning solutions are very harsh and can eat away at tile and grout over time. We are committed to cleaning your tiles without damage whatsoever. 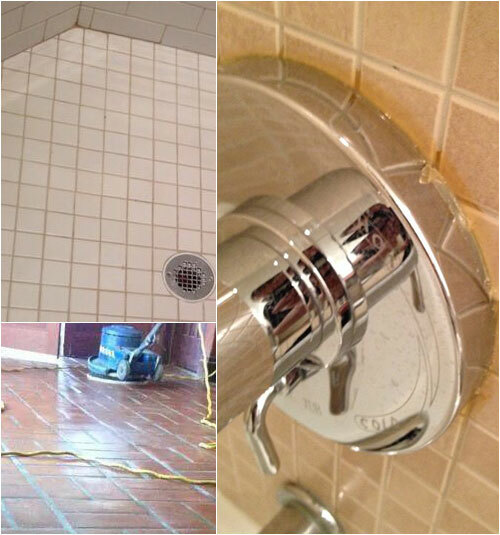 We can even protect some types of tile from future damage and discoloration by applying a sealant layer. If your tile and grout is already worn-looking, a call to Carpet Cleaning Boston will save you from spending two days grout cleaning and tile cleaning. Serious tile and grout cleaning is extremely labor and time intensive. Carpet Cleaning Boston, however, can come in with our highly trained cleaning technicians and our powerful machines and quickly restore your tiled area back to its former glory. Carpet Cleaning Boston wants to help you keep your newly cleaned tile and grout beautifully clean in between professional cleanings. A lot of household cleaning involves balancing pH levels, so it is important to know whether the cleaning solution and the material to be cleaned are acid or alkaline. While vinegar mixed with water is an economical and eco-friendly cleaning agent, it is an acid, and can damage grout containing cement, which is alkaline. Some tile materials are also alkaline and may react with vinegar. Your best bet may be to find a pH balanced cleaner which won't eat away at your grout or tile. Finally, when necessary, specially-formulated tile and grout cleaners can be used, but they are very strong and can cause damage to the material over time. Especially in bathrooms and damp areas, mildew remover will be your best friend in removing dark stains from tile and grout. Call Carpet Cleaning Boston today at 617-938-3847 for all of your cleaning needs. We are one hundred percent sure you will relish your clean tile and clean grout after we have left. We have provided fantastic service to many customers in your area, and we hope to give your house the face-lift you've been dreaming of.